I received my WR-15 two days ago. Unfortunately, I can't recommend the radio and will likely return it. AM reception is just plain bad. My Sangean WR-1, set up right next to it for comparison, clearly outperformed the WR-15 in sensitivity and selectivity across the dial. I had planned on putting it up against my Panasonic RF-2200 and GE Superadio 1 to compare against those radios but quickly realized there was little point of doing so given that it failed my first relatively low-bar comparison. I live in a pretty dense urban environment with a lot of radio noise, so perhaps that's affecting performance and it would fare better in another setting. But I have a lot of other radios that can pull in AM stations better than the WR-15 can. FM performance was better but still inferior to my WR-1 (again, not a very high bar). My quick test of a radio's FM capabilities is seeing how it pulls in those low-wattage college, indy and NPR stations that tend to reside in the very low end of the dial, and here the WR-15 didn't fare so well. I was able to pull in several hard-to-grab college stations on my WR-1 that eluded the WR-15. For the big blowtorch FM stations though, the WR-15 pulled them in without difficulty and sounded great doing so. The speaker is great for a unit this size. This radio therefore might suit your needs if that's where you live on the dial. It's doesn't for me (I like the hard-to-grab community college jazz station -- a tough target for most of my radios, unfortunately). One other characteristic of the WR-15 worth mentioning is its apparent channel-locking tuning, which I find very jarring and unpleasant. The radio tunes relatively quietly across the dial and doesn't engage full volume until it has detected a channel and is tuned (i.e.the green LED light is lit). This results in some unpleasant (to me) dial surfing, as tuning is very quiet when not "tuned" but then jumping in volume when the radio is locked on a station. This apparent channel-locking function also results in having to tune well past a locked station for the radio to relinquish its hold on it. I'm not technically savvy enough to identify what exactly this is, but tuning in and out of stations is abrupt and jarring on this radio. I immediately missed the quiet analog hiss of being out of tune that we're familiar with from most radios. In sum, this strikes me as a radio where concerns about its aesthetics and speaker quality (both good, in my opinion) took priority over the radio's fundamental performance. This is definitely not an AM DX'er, and FM listeners can do better elsewhere. The radio feels very solid and build quality seems good. Plastic dials are a bit lighter than I'd like but they definitely don't feel like they're apt to fall off. The geared tuning dial offers a pleasant resistance -- not too tight or too loose -- and the backlighted dial is nice (though can't be adjusted, as far as I can tell). I found the sound to be very pleasant and without the muddiness that I've found on some other Sangean radios (e.g. WR-12, U-3). But what's sounds pleasant to me may not to you, and the lack of any tone controls means you're stuck with it. If you're more likely to listen to just a few strong stations and don't intend to explore the dial much, or if you'd use it primarily as an MP3 speaker, this radio could very well work out very well for you. It just didn't work well for my purposes. Thanks for the review John. One more to scratch off my list. That "channel-locking" tuning seems particularly boneheaded for an analog radio. Without a digital display, how do you know when you're on your station if you have to wait until it locks to reach full volume. Seems to me it would be very difficult to land on a particular station. 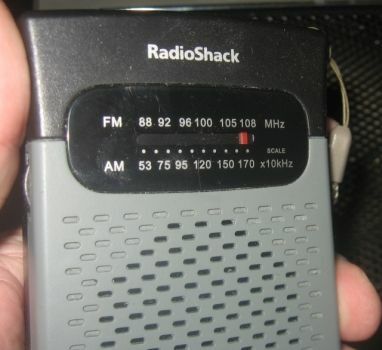 Ken: I might have been able to live with the mediocre reception on this radio, but the channel-lock tuning was the deal breaker for me. At first I thought I might have a defective unit, but after playing with it a while I'm pretty sure it's a "feature" of the radio. Perhaps this was an attempt to counter drift, a complaint that plagued the WR-12? If so, it's poorly implemented here. It sounds like the WR-15 is a DSP-based, analog tuned radio, which I believe poster Drive-In-Freak speculated it might be. This is what causes the muting between stations and the "channel lock" tuning. It wouldn't work for me. What a shame. Looks like I'll stick to the WR-2. Thanks for your good review. Perhaps you'd consider posting it on Amazon to help other would-be purchasers. Thanks, Gary. Good suggestion on the Amazon review (just hope Sangean doesn't send some goons to kneecap me though ;)). And thanks for clarifying what you think is going on with the channel-lock tuning. I've never had a good grasp of what's going on under the hood of radios and evaluate largely by ear, so please pardon a layman's description. To bad. 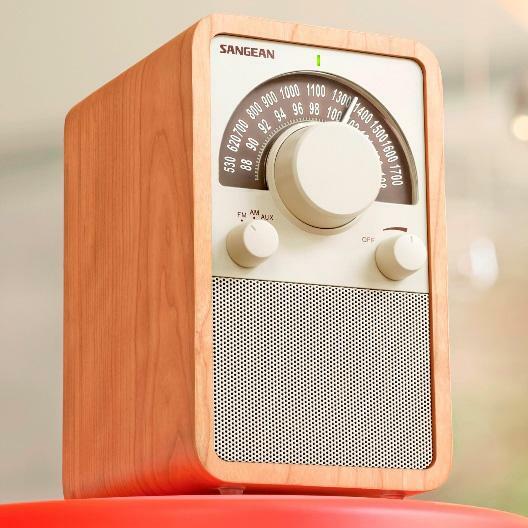 Waiting for something great from Sangean and it might be a while? Anybody else notice that WR-1 in the Toyota/Camry TV spots? Read the section of this review entitled "Tuning and Soft-Mute." I think it will explain what's going on with the WR-15. Yep, sounds like a case of DSP muting syndrome to me. 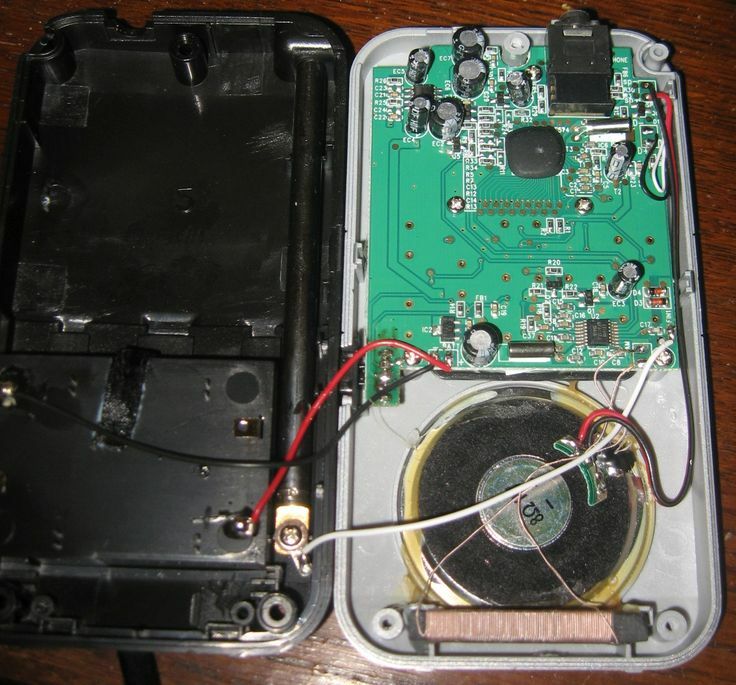 Call me crazy, but I wouldn't bet against it being the same circuit that's in the latest Rat Shack transistor radio with a bigger speaker and a power supply slapped into the case. Oh well. It's kinda cute, anyway. Great review and comments. It looks nice. But a lot of radios look nice. Seems like this one falls short in some critical areas. Thanks, all, for the explanations and links. Yes, this "soft muting" sounds exactly like what I experienced with the WR-15. And I too noticed the linearity of the dial but didn't attribute any substantive significance to it. I appreciate the education you're giving me. Any chance for a picture or two of the guts? I think the radio-on-a-chip "DSP" sets are definitely the way of the future, but the technology is still very much in it's infancy. Over time they will get better. Yep, that's it. No coils (other than the AM loopstick antenna) no cans, no front end caps...not even a volume pot. It's so simplified that...well..to e honest with you I have no idea how it works at all. Your basic superhet circuit isn't really all that complicated and the same basic circuit has been in use for almost 100 years now, but these new chip things are...let's just say that to me they may as well be from Mars.